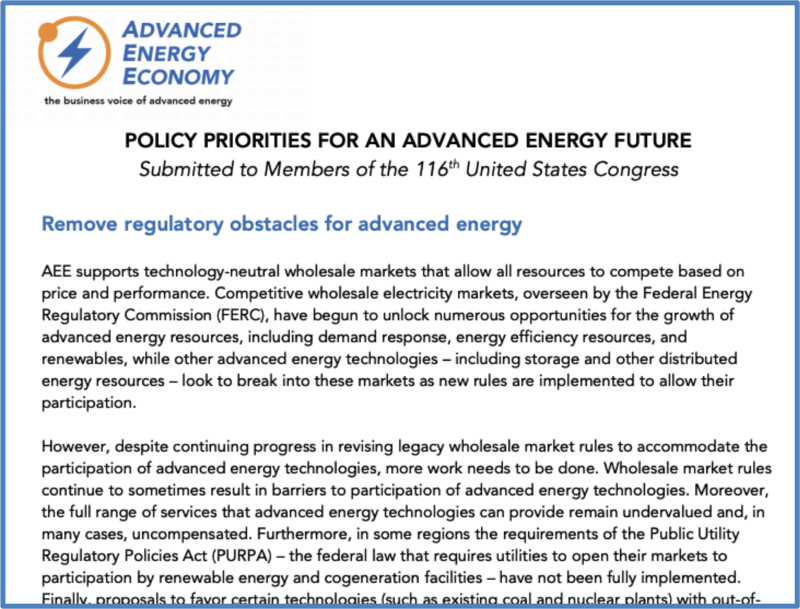 On Jan. 24, 2019, Advanced Energy Economy submitted our priorities to Members of the 116th Congress to ensure technology-neutral wholesale markets will allow all resources to compete based on price and performance. We highlight four areas with specific policy recommendations to strengthen competitive markets and reduce market barriers. Please fill out the form to download the policy priorities.